There are four email marketing tips for small business that will help erase a serious case of “launch anxiety.” You know, that overwhelming cloud of doubt right before you click “send” on a marketing email? Yes, itʼs important to ensure each and every email you send has all of its Iʼs dotted and Tʼs crossed. Even more than that, though, itʼs important that every email is optimized to reach your goals and to engage your audience. When youʼre trying not to spam your contact list, itʼs easy to fall into the trap of combining multiple messages and calls-to-action in one email. But while options might make you feel better, theyʼre distracting. Remember, when you send an email to your list, the purpose is to prompt recipients to take a speciﬁc action. You canʼt afford distractions! Instead, boost your conversion rates by choosing just one call-to-action for each email. By collecting as much information about your email audience as possible through forms and other data collection tactics, you can personalize email messages. Why go through this process? Personalized email messages allow you to speak directly to individual recipients. And that means you meet their individual needs and make them feel special, thereby making it easier for you to build a meaningful relationship with them. The warm fuzzies they get from your personalized emails lead to real business results. Research from Econsultancy shows that 68 percent of marketers say personalization based on behavioral data has a high impact on ROI, and 74 percent say it has a high impact on engagement. But only 19 percent do it. Opportunity. Yep, I said it. Itʼs safe to say that most people have email exhaustion. They have been spammed enough by outbound marketers to warrant it. To set yourself apart from the noise, itʼs important to set expectations for the content you’ll send—valuable content that meets real people’s needs and improves their lives. The kind of emails your audience WANTS to receive. You can set these expectations simply—just state them up front, in the ﬁrst email you send. Then, keep sending consistently valuable content (theyʼll connect the dots on their own). When you set these expectations and then follow through, you become an email hero. I donʼt think I need to explain what “hero” status does for your relationship with your prospective customers! Get the last word in your email marketing messages by adding a carefully crafted P.S. Use this opportunity to create urgency, make your ﬁnal plea, or include a short testimonial. Email marketing is an extremely effective tool for nurturing your sales leads and converting them to customers—especially when done right. Make sure youʼre getting the most out of the time and effort youʼre putting into your email marketing campaigns! 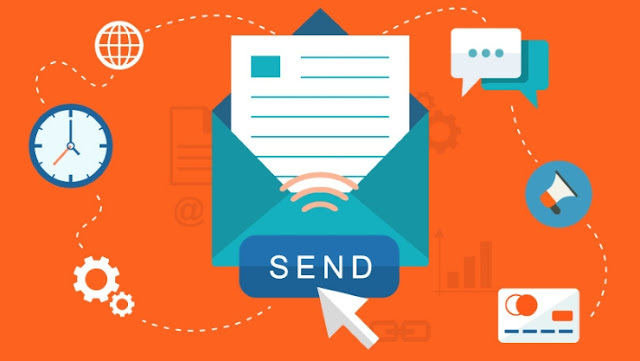 These 4 email marketing tips for small business will focus your campaigns and will increase your engagement. Good luck and happy emailing!